Discover It® Chrome (This card is not currently available on CardRatings) has evolved into a market leader for cash back incentives. With Discover It® Chrome, new cardholders have an entire year to take advantage of 2 percent cash back on purchases and gas stations and restaurants, and 1 percent cash back on all other purchases, then at the end of year one, Discover It® Chrome will match all the cash back you’ve earned. That means, if you’ve accumulated $300 in cash back throughout your first year of card membership, Discover will match it -- making your total cashback $600 -- automatically. To sweeten the deal, Discover It® Chrome offers 0 percent introductory APR for 14 months on purchases or balance transfers. Earn 2 percent cash back in categories that are most popular -- gas stations and restaurants (up to $1,000 in combined purchases each quarter). Earn 1 percent cash back or more on all other purchases with no cap to what you can receive. Rewards can be redeemed for cash in any amount at any time. Use your Cashback Bonus rewards instantly on Amazon.com. Cash back rewards never expire, even if your account is closed or hasn't been used in 18 months, Discover will credit your account with your cash back bonus balance. New cardholders receive matched the cash back at the end of their first year of credit card ownership, which makes it easy to accumulate rewards. Discover It® Chrome offers a 0 percent introductory APR for 14 months on purchases and balance transfers. If you're in a bit of a crunch come payment time, rest easy; Discover won't charge you a fee on your first late payment. Paying late also will not increase your APR. Discover It® Chrome offers 2 percent back at restaurants and gas stations on up to $1,000 in purchases quarterly, but if you spend more than that on gas or eating out, you could likely realize more rewards with a card that offers a higher cap. 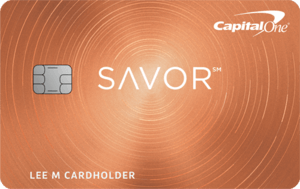 See if the Capital One® SavorOne℠ Cash Rewards Credit Card is an alternative for you. Cashback Match™ -- New cardholders receive matched cash back at the end of their first year of credit card ownership, which makes it easy to accumulate rewards. Easy Ways to Redeem Cash Back Bonuses -- There are several easy ways to redeem cash back bonuses, including a credit to your account, an electronic deposit to your bank account, a donation to select charities, or to pay with Cashback Bonus at select online retailers. Starting with $20, you may also redeem cash back bonuses for gift cards or instant eCertificates from Discover's Partners or for Discover gift cards. Security Measures to Keep Your Credit Safe -- The card also offers great security measures. Discover offers the ability to freeze your credit card account in seconds by utilizing a simple on/off switch either on Discover's mobile app or website to prevent new purchases. Additionally, Discover offers a $0 Fraud Liability Guarantee so you're never responsible for any unauthorized purchases. No Late Fees or Overlimit Fees -- There are no late fees for your first payment. Moving forward there is no overlimit fees and a late payment won't raise your APR. Cash Back Categories Have Caps -- To take advantage of the 2 percent cash back bonus, purchases need to be made in select categories, in this case gas stations and restaurants. In the first year this program makes a lot of sense, but if you start spending over the $1,000 quarterly caps, it may be wise to look for a rewards card that fits your spending patterns more closely. 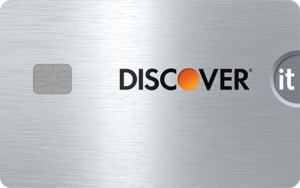 Not Everyone Accepts Discover -- Despite being around since the mid-1980s, Discover cards are still not accepted everywhere, but the good news is there are 9.2 million merchants who do accept them today. No introductory bonus -- Discover it® Chrome does not have an introductory for new cardholders. Some introductory offers like the Chase Sapphire Preferred® Card offer cardholders mega-points — 60,000 points (or $750 toward travel when redeemed through the Chase Ultimate Rewards® portal) after a cardholder spends $4,000 in the first three months of account opening. 1% unlimited cash back automatically on all other purchases. Cash back rewards from the American Express Blue Cash Everyday® Car from American Express can be redeemed as statement credit or for gift cards or merchandise . While Discover it® Chrome allows for 2 percent cash back in specific categories, Blue Cash Everyday® offers cardholders 3 percent back on up to $6,000 spent annually at U.S. supermarkets (then 1 percent), 2 percent at U.S. gas stations and select U.S. department stores and 1 percent on your other purchases. Those categories mean it's possible for cardholders to earn more with the American Express card if the bonus categories fit your everyday spending. While Discover it® Chrome matches cashback earned throughout first year of card membership only, the Citi® Double Cash Card features double cash back for the lifetime of card membership. Citi® Cardholders receive cash back twice with every purchase -- 1 percent cash back when you make a purchase and another 1 percent cash back as you pay for those purchases. Citi® doesn't designate rewards categories which means you can earn cash back on every purchase you make. There are no restrictions on the types of purchases you can make to earn rewards and categories don’t rotate with the Capital One® Quicksilver® Cash Rewards Credit Card (after the intro period, 16.24% - 26.24% (Variable)). 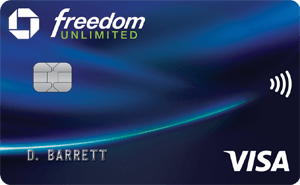 Cardholders earn unlimited 1.5 percent cash back on every purchase. Rewards on this card never expire. Card holders have the opportunity to receive a $150 one-time cash bonus after spending $500 on purchases in the first three months of card ownership. If you commute to work on a daily basis, eat out often and shop online to save time, this is a great card for you. Taking advantage of all those cash back perks for purchases you make every month will be a big benefit to the cardholder.